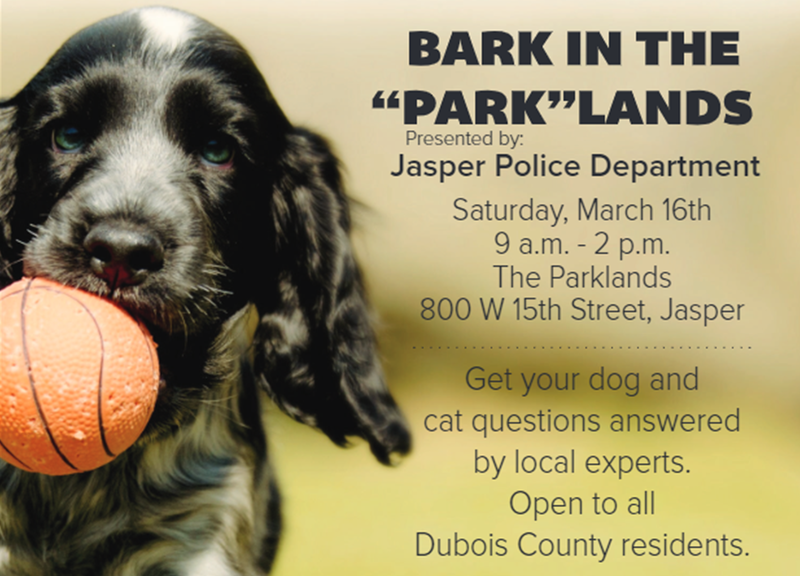 JASPER -- The Jasper Police Department will be teaming up with the Dubois County Humane Society next month for Bark in the Parklands. It’s an event to help educate pet owners on the proper care and responsibility for their pets. You’ll learn about city ordinances regarding pet ownership, and professionals will be on hand to answer questions, including veterinarians, boarders, groomers and obedience trainers. The event will be Saturday, March 16th at the Parklands of Jasper from 9 a.m. – 2 p.m.